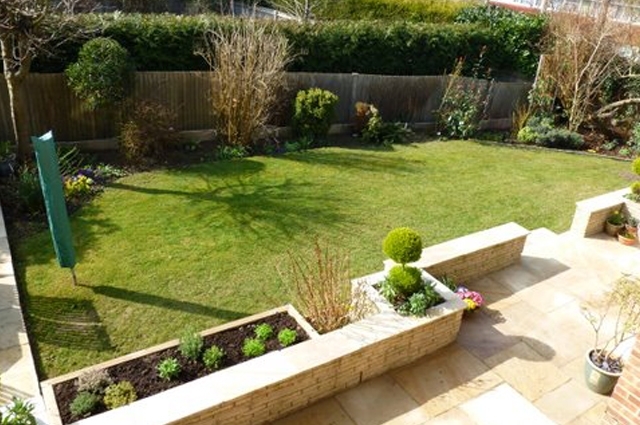 To replace existing patio, install new garden paths and raised beds and install 8m walkthrough archway. 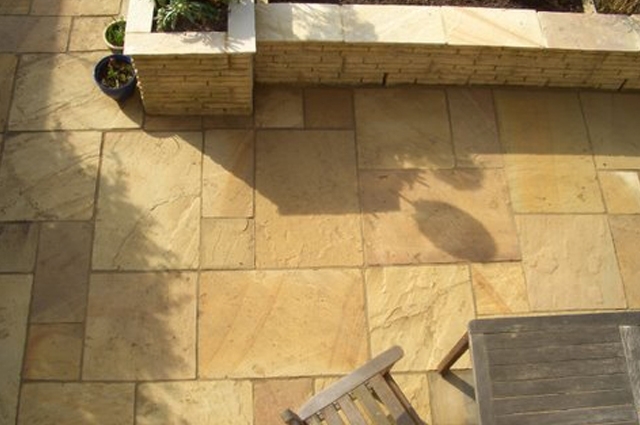 The old patio was removed and replaced with Indian sandstone, this was chosen for the veins of colour running through the stones and care was taken to make sure the right pattern was laid in front of the patio doors and over the rest of the patio. A new path was laid down the side of the house with some raised beds. The archway was built over this path with climbing plants, being planted on both sides to fill out the arch over time. 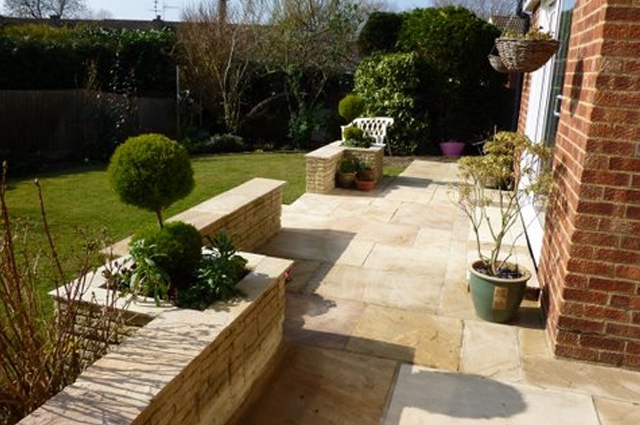 The wall surrounding the patio was re pointed and capped with Indian sandstone. 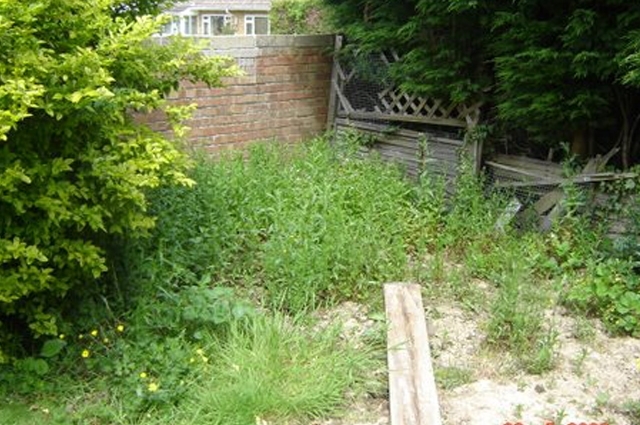 A sleeper raised bed was built down the side of the property and filled with top soil and planted. The lawn was leveled with more topsoil and seeded.